Complete your stunning outfit with the gorgeous bronze box clutch. The perfect trend seasonal clutch for evening, formal, ball and bridesmaid dresses! 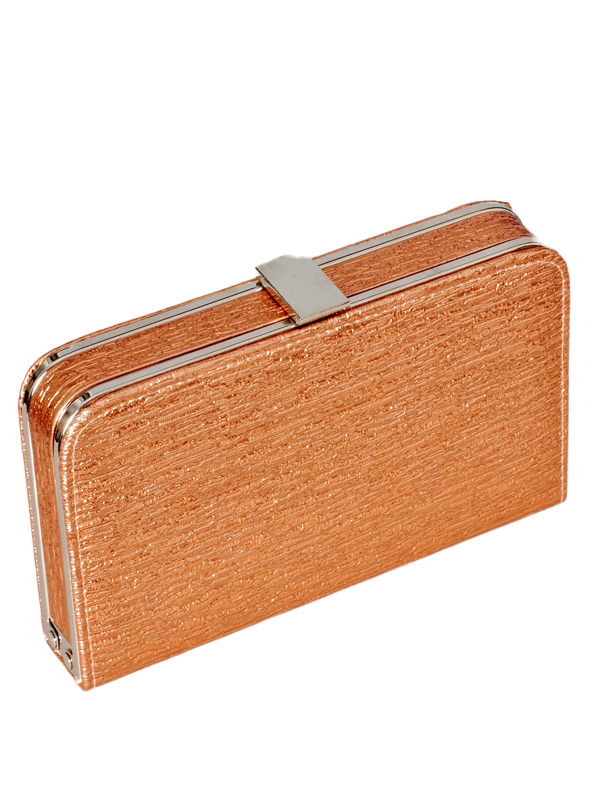 The bronze box clutch features detailed textured fabric. An attachable silver chain for easy carrying and a silver clip for easy opening. It also contains an inside compartment to store your cards and cash. A very versatile clutch!